A lot of times we tend to overthink things as Americans when facing an obstacle or a problem. Many of us, when facing an issue, do as much research as possible…which is a good thing. But then we’ll take it to the nth degree and overthink things too much. And for those trying to pass Selection to get into Special Operations, this can be a prime example. We hear this and see it all the time. We publish a daily workout program on SpecialOperations.com that should help prospective candidates get ready for the rigors and physicality of Selection. And we start with the basics. Carrying a 45-lb pound rucksack (without food and water) and tell everyone that is where you should be starting from. Will you carry more in Selection? Yes. Will carry a LOT more in the SOF units? Absolutely. But starting there and trying to carry the weight of a pack mule on Day 1 is just asking for trouble. There is a reason we start slowly and work up from there. Unless you’ve been doing this for a while, you’ll hurt yourself if you try to do much too fast. The old “crawl, walk, run” method, may seem really cliche but it works for a reason. Another area is in terms of strength and upper body strength. I use that term all the time in our workouts. I also state, quite frequently, that you don’t have to look like an NFL linebacker to pass the course, but that part seems to get lost in translation. Remember, we’re looking for functional fitness here. If you get stronger, you’ll naturally get a bit bigger as well. But we’re not selecting guys for the posedown in the Arnold Classic. So, looking back up at the header…what does well-rounded mean? This should be the goal of everyone and all it means is doing everything well, better than the standards but not going overboard. Being strong doesn’t mean you have to be able to bench press a Toyota, run a sub-five minute mile or ruck 12 miles in less than two hours. By all means, set your goals that high, but remember don’t spend too much time in one area or you will lose ground in another. Recognize areas that you are weak in and strive to make them better until they become strengths. If rucking is a particular weak spot, work more rucking time into your workout schedule. The same for running, lifting etc. Remember to keep your eye on the prize. What is your goal here? It isn’t looking like an Adonis strutting on the beach. 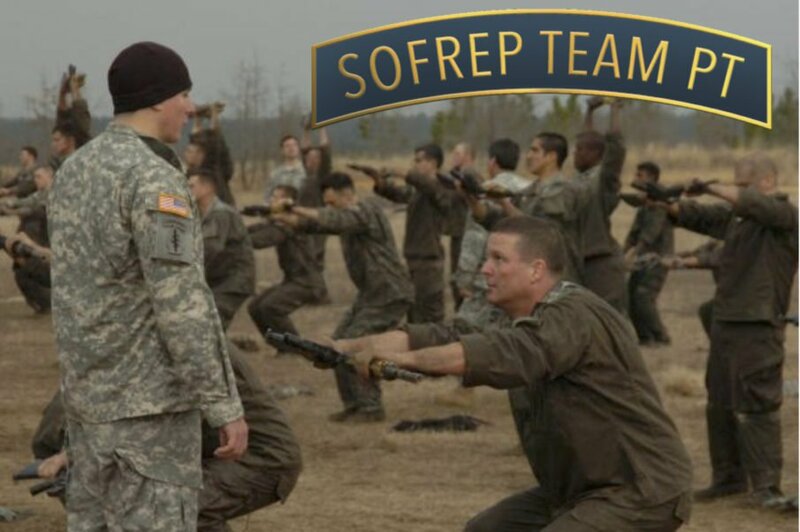 It is to be a member of the Special Operations Forces. So what does a member of SOF have to accomplish? Learn what the mission entails, which for now all you have to do is know what the standards are physically. You know you’ll have to run 5 miles in 40 minutes or less. The pushups and situps are pretty standard across the board. You know that as a minimum, you must ruck at least 12 miles in under three hours with a 45-lb minimum rucksack. Accomplish all of these within the standards and then aim to better them all. What is your weakest area of these? Then you know where to work on getting better. By its very nature, service in a Special Operations unit is taxing on your body both physically and mentally. Your body has to withstand the rigors of jumping out of aircraft with 100 pounds of”lightweight” gear strapped to it, Rucking with that said 100 pounds of gear on and the sustained operations that the special operators endure. The different units conduct different operations, and the duration of each can vary quite a bit. The same with deployments and their duration. But SOF have a crushing operational tempo that is always a source of conversation with the command elements. So how to stay as durable as possible? Build up a strong lower body and core. Your lower body is the driver’s seat where everything you do springs from. That is why we always push Squats, Deadlifts, and the Weighted Sled Push. This builds up the strength and explosion your body needs to carry that rucksack, and constantly hump the mountains of Afghanistan in operations, frequently over 8000 feet. And now the old standard flexibility is out and the latest is called “Muscular Pliability” which is and isn’t the same thing. Flexibility is the actual range of motion for a particular joint. But how far that joint is able to move depends on the pliability of the muscles that operate it. Unlike the old adage about being “hard”, today most experts believe that longer, softer muscles are better suited to long-term support and longevity…(no dirty minds here). So stick with your training plan, and keep your long-term goals in mind. Train harder, smarter and be around when the fat lady sings. All Green Berets participate in a final unconventional warfare course called Robin Sage, the MARSOC equivalent is called Derna Bridge.